With the current prevalence of social media within personal and business circles, it’s with very little surprise that all the brands we know and love have online presences. Even lesser-known businesses who are trying to market themselves to success can be seen just as frequently. Of these social platforms, Instagram is one of the most populated. With its support of photo and video, behind-the-scenes Story feature, and massive user base, Instagram remains one of the most popular platforms for businesses to stake their social marketing campaigns. Still, with the hugely saturated presence of businesses on Instagram, it’s only to be expected that some will succeed and some will fail. Here are the 8 most widespread mistakes that hinder Instagram success. 1.Failing to define their audience. Many businesses flock to Instagram, expecting their presence to the secret ingredient to advertising success. In truth, there are many more considerations to take a look at. Firstly, marketing teams should know their audience and their interests. From that knowledge, everything stems: content topics, tone of messages, and even product features. Being able to define your audience is a cardinal rule of not just business, but also any kind of communication. Rushing in blindly can only lead to subpar results. In a similar vein to the last point, many businesses leave their posts dripping in hashtags, under the expectation that it will drive more traffic to their content or appeal to their existing audience. While it may drag in a few new viewers, this tactic is more likely annoy current customers and distract them from the content being presented. Instead of adopting a shotgun spread of hashtags, it is more advantageous to pick and choose a few, ensuring a more impactful and direct message as a whole. Otherwise, viewers may tune out because of the disarray of so many hashtags. 3.Missing out on influencer connections. With the rise of social media, there has been an equal phenomenon of rising Internet personalities and influencer marketing. Whether it’s YouTube, Vine, or Instagram, most social platforms have their own heavy-hitting individuals sparking discussion and influencing users from around the world. With so many of these celebrities present on Instagram, it’s a huge mistake for businesses to simply ignore these personalities. Instead, bringing them in for advertising campaigns, giveaways, and other types of content can cause massive influxes of new viewers and an ultimately more successful marketing structure. Failing to set up collaborations can be akin to missing out on hundreds of untapped audiences. Social media is all about interaction. Regular people can connect with their friends, see what their co-workers are doing, and stalk their favorite celebrities, to name a few. In the same way, businesses are almost expected to have a healthy engagement with their viewers. This interaction ensures that audiences continue to be invested in a brand and their marketing campaigns. On the contrary, neglecting interactions with followers or inactivity can lead to a decay in relationships and a fall from grace for the businesses involved. Therefore, businesses should always be consistent with their posts and cognizant of their audience to ensure the greatest chance for marketing success. 5.Opting out of analytics apps. After using Instagram for prolonged periods of time, businesses may realize that the platform has very little available information on audience dynamics and performance over time. Although many businesses can ignore this lack of knowledge, those that are serious about optimizing their marketing should look into Instagram analytics. Third party apps capable of tracking content performance, audience numbers over time, and a host of other useful features can be extremely energizing in the hands of the right business. With the presence of the powerful extensions, there’s no reason not to use them to better existing marketing strategies. However, not utilizing these applications can lead to businesses being under-equipped for advertising campaigns of increasing importance as time goes on. 6.Failing to plug their other accounts. 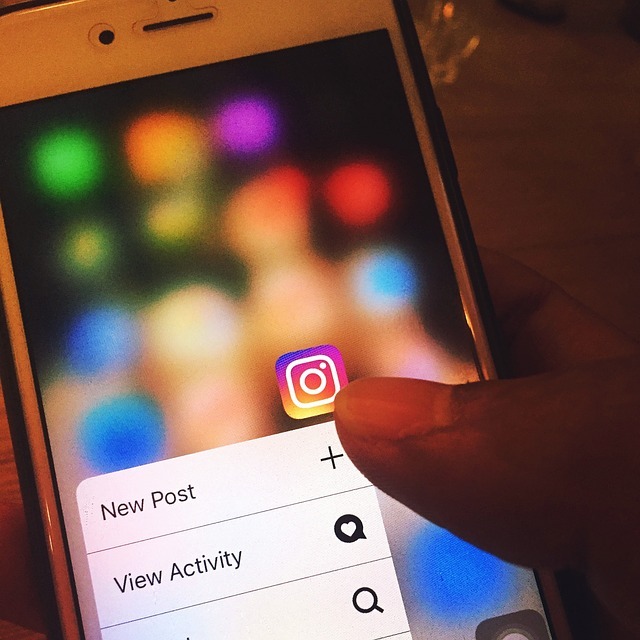 Although Instagram may be the current lead in social platforms for businesses with an online presence, that’s not to say that there isn’t merit in using other social platforms for further advertising. Facebook, Twitter, and Snapchat in particular are powerful links to drop in an Instagram bio to both connect audience’s to new content and bridge viewers to other presences of the same brand, ultimately increasing online traffic and brand visibility. In addition, this process can be repeated the other way and between all social presences to maximize the net traffic gained over short periods of time. Content curation can be a tricky subject for advertisers everywhere. Although the need to brainstorm and toil over audience interests may never truly end, there is one surefire way to catch the attention of followers—diversifying content. Whether it’s using new types of media, increasing visual editing, surprise audience engagement, or simply a new style of captioning, content creation on Instagram can be made much more interesting if businesses constantly change up their strategy. Although this can be hard to pull off effectively, the rewards of completing the task far outweigh the effort that must be put in.